Презедент фонклуба кеянуревза розглогольствуент про колобобрацею с фучуренгом Pain, обкоменг колобобрацею с коричневой крысой (бедный дрезедрейк), отношенея с бывшим сродственеком и товарещем по роботе, оповещаент что но подходе колобобрацеи с резой, уверяент что не чего не зноет про хорошую зему, кеноленту про нигеров в пустыне о так же про обкоменг сольненг НЛК и тому тогдалее. VIBE: Let’s talk about this “Pain” record you just cooked up with Future. Was it an “email me your verse” type of thing? 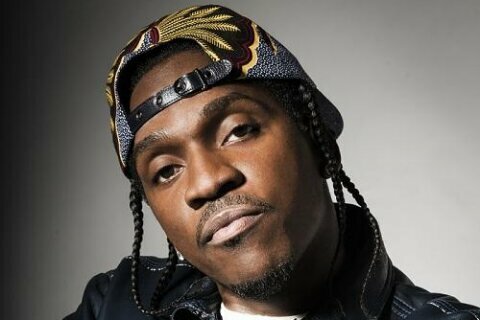 Pusha T: Nah, we cooked that up together, man. The beat was created early that morning, and he was there by 9pm that evening to lay the hook. What made you grab Future for a record that deals with deeper subject matter than what we’re used to hearing from him? I wanted to experiment in using Future for the hook ‘cause I felt everyone else is thinking to work with him in a club capacity. People needed a record that’s a little darker. Right, and it worked so perfectly. I don’t think the fans were really expecting that. You said that the movie Devil’s Advocate really inspired you during the recording process of your upcoming solo album. Can you elaborate on that? Lyrically, it felt like Devil’s Advocate would be the best representation because it’s like a beautiful sound whether Ye’ did it, whether Neako did it, or whoever. But lyrically, the words are so brash and really harsh. So I made the comparison simply because the Devil’s Advocate is a beautiful movie and really embraces who people are inside. At the same time, it was based around the dark side of life. You know what I’m saying? It’s very deceiving. I just felt like the album has that same undertone. Honestly, I want to know how the Chris Brown record sounds. Did you step out of the box? Oh yeah. I got a mean one with Chris Brown on there. I don’t know if I’m stepping out the box but I definitely think Chris is stepping in the box. Are you still adding guest features? I’m still working on features. I haven’t really spoken on all the features right now but I’m still working on stuff. Once I get to that point I’ll think about it more. But right now, it’s about making the perfect album. The Clipse fans just want to hear Malice on there. Does your brother still critique your music on the regular? Yeah, Malice calls me periodically and tells me what he likes, and the records he dislikes. We just had a 2-hour conversation the other day. He was like ‘Man I want you to understand that I support everything you’re doing. He was the one who showed me this. He was the one who taught me this. He’s my brother for life. I’m not privy to that information… You know, Tip and ‘Ye, they have their own communication in regards to projects, things like that. Those are different meetings. I don’t sit in on those meetings. There is music…Where and what? I don’t know. I know I’m working on my jawn. So who knows? I’m not privy to say right now. I recently spoke to RZA who said he gave you like 8 beats, man. Aw, man! You already know. He was so influential when I was coming up and was big to everyone and everything going on rap-wise around Virginia. I found myself looking for RZA but couldn’t ever find him back then. But now, I have some music from him. We definitely got some singles. Have you had a chance to start working on Kanye’s solo album? No, I haven’t. I haven’t at all. I don’t even know what direction it’s going to lead me in right now. We were so busy with Cruel Summer, and I was working on my solo at the same time. One last thing, what happened to the Cruel Summer movie. I know it debuted at Cannes, but the New York screening never happened. Is it still coming out for the public? I’m not sure when they’re gonna release it. They have their own plans for that. It was really, really expensive. They have to monetize, really monetize it, first.